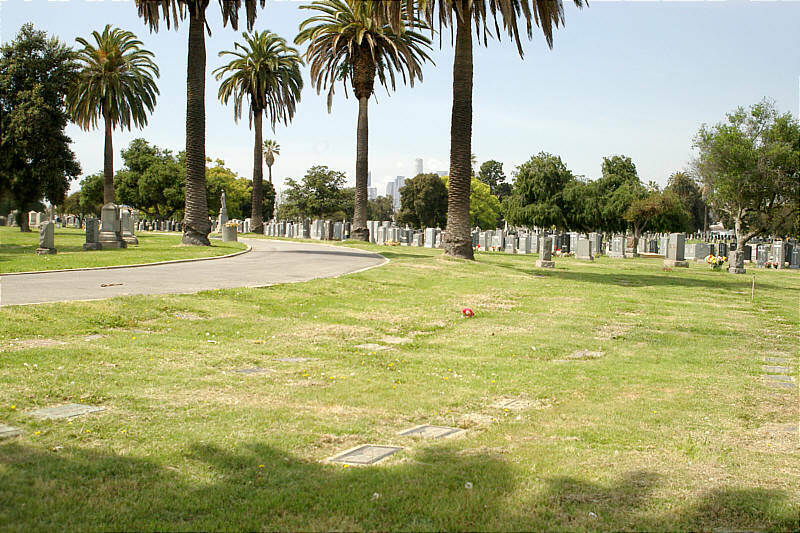 Photo: View of Evergreen Cemetery, Graves of Anna and Peter Pawluk in Foreground. Eastern Mojave Vegetation View of Evergreen Cemetery, Graves of Anna and Peter Pawluk in Foreground. Other photos about Geography - California or Los Angeles.